Win copies of A Brief History of Montmaray! The paperback edition of A Brief History of Montmaray comes out in North America next week, and to celebrate, I’m giving away some copies of the hardcover and the audiobook. Each winner can choose either a signed hardcover edition or the lovely audiobook version on CD, read by Emma Bering. To enter, leave a comment below saying who you think should play the characters in A Brief History of Montmaray, if it were ever to be made into a film. You don’t have to have read the book (it’s probably funnier if you haven’t), but you will need to know who the main characters are. Please don’t feel constrained by practical considerations, such as whether the actor is the right age or still alive. Veronica: Does Penélope Cruz have a much younger sister who went to boarding school in England? Because if so, Penélope Cruz could play Isabella and the younger sister could be Veronica. That would be awesome. Sophie: Maybe Saoirse Ronan? I’ve only seen her in Atonement, but she was very good in that. Or Romola Garai, if she were ten years younger? Toby: When I first started writing this series, I imagined Toby as a young Jude Law, but now . 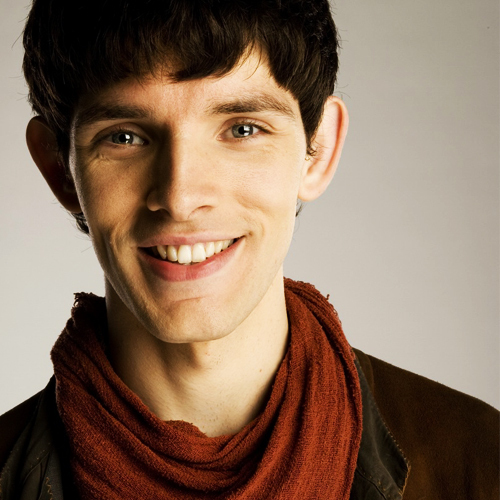 . . What about that blond guy in the TV series, Merlin? I haven’t seen it, but the actor’s very pretty, and I guess he’s British? Can he act? Simon: Needs to be someone tall, dark and broodingly handsome. How about Ben Barnes? Henry: I bet there’s a little Fanning sister who could play her. Those girls can do anything. Rebecca: If only Helena Bonham Carter was about a foot taller, she’d be perfect. Who else is good at playing homicidal maniacs? Meryl Streep doing a Montmaravian accent? Miranda Richardson? 1. This is an international competition. Anyone can enter. 2. Make sure the e-mail address you enter on the comment form is a valid one, so I can contact you if you win (no one will be able to see your e-mail address except me). Please don’t include your real residential or postal address anywhere in the comment. However, it would be nice if you could mention which country you’re from (just to satisfy my curiosity about who reads this blog). 3. You can talk about one character or lots of characters. 4. Skill plays no part in determining the THREE winners, whom I shall choose using some random process I have yet to determine. If fewer than four people enter the competition, then “Everybody has won and all must have prizes”, as the Dodo said to Alice. 5. Entries close on April 5th, 2011, the day The FitzOsbornes in Exile goes on sale in North America. Winners will be e-mailed then, and I will send off the winners’ books or CDs as soon as possible after that. Sophia- Sarah Bolger (otherwise known as Princess Mary Tudor from The Tudors) would be perfect, she might not exactly match Sophie’s description, but i’ve always pictured her as being played by Sarah Bolger. Henry- Selena Gomez, slightly younger of course would be IDEAL as Henry. She has that look in her eyes that promises mischief and the mischievous grin to a tee. Rebecca- I could think of no one better than Helena Bonham Carter to play her, although she would have to dye her hair grey, but she has this way of playing homicidal characters so well! Aunt Charlotte- Helen Mirren, Aunt Eleanor in ‘Inkheart’ has ALWAYS reminded me of Aunt Charlotte, even though I think Aunt Charlotte is a tad younger. Toby- Bradley James (Prince Arthur from ‘Merlin’ AKA ‘that blonde guy’) is the definition of Toby, with his blond good looks and charming smile, plus he is incredibly handsome! Isabella- Mia Kirshner ( ‘The Vampire Diaries’) looks exactly like Isabella always looked in head. Simon- Not exactly right but Paul Wesley (again from the Vampire Diaries!) is about as close as I can think of for Simon, although somehow, i’d always pictured him as having a lot of freckles (???). Veronica- Ellie Kendrick (Diary of Anne Frank mini series) in looks and smushed together with Hermione Granger’s personality is about as close as I could get to Veronica. Julia- The only choice for me is Emily Blunt. Wonderful actress. Even if she doesn’t have the right hair colour etc, she could always dye it. Uncle John- Jim Broadbent, based solely on his performance in ‘The Young Victoria’ as King William IV, thus proving his ability to rant and rave, while acting like a King. (although I always pictured Uncle John’s hair as being brown, not grey) but otherwise, perfect for the role. Oh, Chelsea, you are so much better at this than I am! Helen Mirren and Emily Blunt, absolutely! I will have to go and look up Sarah Bolger and Selena Gomez now . . .
No freckles for Simon, though! Sophia is Selena Gomez, dark and pretty. Veronica is Dakota Fanning because she’s so smart. Henry is Emma Watson because she’s an independent spirit. Rebecca is Bristol Palin because she’s very religious. Julia is Kendall Jenner because she’s pretty and beautiful. Daniel is Daniel Radcliffe because he’s English and a Daniel! and The Colonel is Johnny Depp because he could play this part so well!! I am from the United States and look forward to reading this book! Thanks, Alyssa! You know, even without reading the book, you have such a good idea of what Simon is like. And I would happily watch any movie with Daniel Radcliffe and Johnny Depp in it! Firstly, can I just say how in awe I am of how much research you’ve done for this latest Montmaray book and how seamlessly it is woven into the story. I taught WWII in England to primary students years ago, and I would love to have had The FitzOsbornes in Exile back then to read to them. It gives such a realistic sense of the build up to the war and how it was bit by bit, step by resistant step, that the UK was drawn into the war. People seem to have this idea that the war was started with the dramatic dropping of bombs, when the reality is that it was started in the boardrooms and parliamentary houses of countries all across Europe. And it wasn’t sudden, which makes the devastation that followed so frustrating. How could it have got to that stage with so much warning? But it did. Secondly, Michelle, I’ve decided that the publishing industry needs to create a law whereby it is ILLEGAL to release book series in dribbles. I’ve just finished Exile and I’m in physical pain and emotional anguish, wanting, nay, NEEDING, to know what happens next! What’s the mystery with Simon’s evasiveness? And knowing there isn’t even a release date yet, is agony! In the nicest possible way I’m pleading with you to PLEASE HURRY UP and finish writing the 3rd book. Ok. I’m going to mention my thoughts for some of the more minor characters, but these are the ones I had definite images in my head for when reading The FitzOsbornes in Exile. Because we get to find out so much more about Sophie, Veronica, Toby et al, they are too complete in my head to try and fit someone into their mould. No one quite fills all the corners of their personality and looks. Some (all?!) of the people I’ve chosen may not match the physical descriptions given in the books, but they embody “the vibe” of them, in my mind at least. Also add in to the mix that I’m a more “mature” reader of your books and my taste may not reflect the majority of your audience’s ideas! Colonel Stanley-Ross: He came across as a dashing, calm and mysterious older man. How about Pierce Brosnan? Maybe his *SPOILER* possible occupation put Pierce in mind? Although the Colonel is only in the book for brief, albeit significant, moments, I fell slightly in love with him. Thanks for a great 2 books so far Michelle! I look forward to the next/last one, even if you are making me wait too long. Excellent casting suggestions, too, especially Pierce Brosnan as the international man of mystery! I will have to check out this ‘Merlin’ series, I think. I FINALLY remembered who Veronica originally reminded me of! To me, she looks EXACTLY like Katie Mcgrath (Another one from Merlin!). As for personality, Veronica still reminds me of Hermione. Oh, yes, Katie McGrath looks very Veronica-like! And I’m sure Veronica and Hermione would get along very well, if Veronica were to end up at Hogwarts. I can just see Veronica joining in the House Elf Liberation campaign. Mark Hamill! I’d forgotten all about him. And James Marsden already has experience at playing a prince, so he’s a good choice. Thanks, Noelle! Obviously I haven’t read the books yet. I’m not a good judgment of characters without knowing them but I did try my best 😀 Thanks for the giveaway! Thanks, Samantha! I’m loving these ideas from people who haven’t read the book yet! Hmm, Tom Felton . . .
Well, I am entering the drawing because I’d like to read this book and haven’t yet. (Saw the review for #2 and became intrigued.) So my cast is going to be random and thus purposefully waaaay off the mark. Amanda, you are hilarious. Although, come to think of it, a young Helen Mirren might not be so off the mark . . .
Sophia: Hailee Steinfeld from True Grit. She was bullied in school and ended up opting for homeschooling. Somehow I think if Sophia were in a regular middle school (and weren’t a bona fide princess), she’d be in the same boat. Alternate: Hayley Mills, because who doesn’t like a Hayley Mills movie, right? Veronica: Turn back the time machine and mix Liv Tyler, solely for looks (See King John, below), with Jodie Foster, for brains and tenacity. Toby and Simon would have to be played by Peter DeLuise and Johnny Depp, respectively, in their halcyon 21 Jump Street days. Friendship! Intrigue! Romance?! King John: Steven Tyler, although the accent might be a challenge. The sort-of nice SS guy searching for the Holy Grail: Tom Cruise, in a break-out role. Thanks for writing Brief History. Such a fun read. But all this work has made me hungry. Let’s hope the supply boat is coming soon. Thanks, Gwenyth! I love the Liv Tyler/Jodie Foster plus Steve Tyler idea. Mrs Danvers terrifies me, but even she is not as terrifying as the thought of Tom Cruise playing a historian . . .
Oh, do you like HENRY CAVILL? Good suggestions, Divya! This was hard for me because as I read I don’t see actors as the characters just a imaginary person in my mind. I tried to stick with English actors and close to the age range or alittle bit older. Though I keep seeing a young Romola Garai has Sophia, also. Oh, Ben Whishaw’s an excellent actor, isn’t he? I just watched him in ‘Brideshead Revisited’ and even though he didn’t look like my idea of Sebastian at all, he was very convincing. Thanks, Andrea! Ok, I rarely watch any movies except for really old ones in black and white, so my choices might seem a bit odd. For Veronica: Winona Ryder as she was in “Little Women”, a bit stubborn and bookish. For Sophie: Jennifer Jones in “A Song of Bernadette” . Toby: Troy Donahue (I had trouble remembering a blonde n’ere do well). For Simon: Daniel Radcliffe because he’s the right age and very handsome. For Henry: Margaret O’Brian, I can just see her doing cartwheels! For King John: Ian McKellan, he looks great disheveled. And lastly, for Rebecca: Merle Oberon ( check out her death scene in “Wuthering Heights” and tell me you don’t think she’s perfect!) —I loved your book, it’s absolutely brilliant! (And I’m not even the target audience!) I just read a lot of books set in that time period, and yours was blogged about on ” The Children’s War”, a blog about books that are about or take place during World War II. Keep writing! Thanks, Margaret, excellent suggestions! I especially like the idea of Ian McKellan and Merle Oberon!